During this holiday season, some families in our community will be filling their plates with delicious meals. For other families, this will not be so easy. That's why this time of year especially, Sustainable Food Center works to make access to healthy food possible for everybody. The fact is, food is not easy to grow. High quality, sustainably produced vegetables and fruits take a lot of planning, a lot of labor, and a lot of love to grow. It’s why a major part of our function in SFC’s Farm Direct program is to support local farms so that they can keep doing their very important work. Food is also not always easy to buy. High quality, sustainably produced vegetables and fruits can be pricier and harder to find than conventionally grown produce. It’s why another part of our mission is food access. 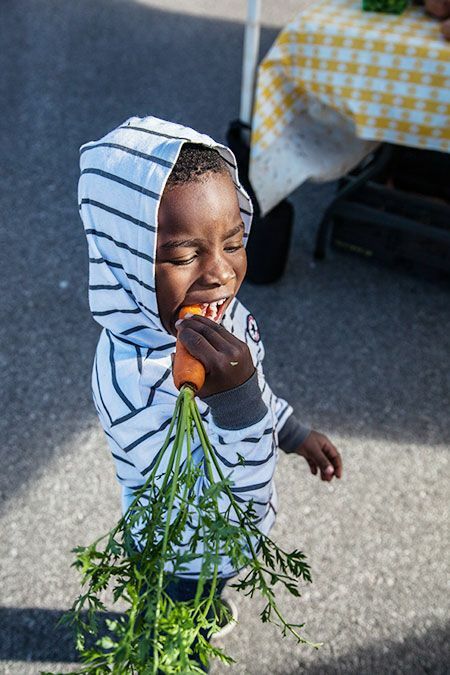 Through our programs like Double Dollars, Farmers’ Markets, Farm to Work, and Farm to Family, we build connection points between families and local farmers. Our Double Dollar program acknowledges both sides of the equation – producers and consumers. Folks receiving SNAP (previously called Food Stamps) or WIC (Women Infants Children), can use those benefits at all SFC Farmers’ Markets and receive a dollar-for-dollar match of up to $20 per visit. That means that families can purchase $40 worth of locally, sustainably-sourced produce for just $20 every week, all year long. It also means that our famers can charge a fair price to keep their farm going. To read more about win-win programming like this, click here and consider supporting SFC in our mission to help everyone fill their holiday plates with healthy, local, and affordable food!